Figs, or also known as “anjeer” in India, are seasonal fruits found mostly in the western parts of Asia. 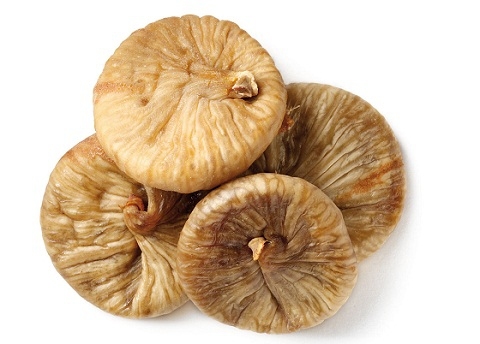 You cannot find fresh figs throughout the year, but you can lay your hand on dried figs in all seasons and everywhere in the world. Anjeer is loaded with antioxidants and several nutrients that offer several health benefits. Keep reading to discover some of the most important benefits of anjeer. The use of anjeer is beneficial mainly due to the nutrients it contains. Here's what you will get when you eat figs on a regular basis. That's right, digestion, it tops all the anjeer benefits, owning to its great source of dietary fiber. If you eat three pieces of anjeer, you will be adding about 5g of fiber to your body. It is enough to complete 20% of our daily fiber requirement. It serves as a natural laxative and adds bulk to bowel movements, which is why it improves digestion, prevents constipation, and eliminates diarrhea as well as irritable bowel syndrome. If you've been trying a number of ways to lose weight without success, you may want to add dried figs to your diet for better results. It contains fiber and makes you feel full easily so you can reduce your weight. On the other hand, it contains several calories, so you can have it with milk to gain some weight. Anjeer plays a big role in maintaining sodium-potassium balance in your body that often gets disturbed when you eat more salt. This imbalance may lead to hypertension, but anjeer helps by adding about 129mg of potassium and only 2mg of sodium in 1 serving. One of the biggest benefits of anjeeris that it improves your cardiovascular health. It contains a soluble fiber called pectin that helps eliminate toxins and cholesterol from your body. It is also a rich source of antioxidants and plays a role in eliminating free radicals and preventing heart disease. It also prevents hypertension, which in turn prevents the development of coronary heart disease. By providing you with 3% of your daily calcium requirement, anjeer serves as a great fruit to help you have stronger bones. You can add it to your diet with our calcium rich foods to improve your bone density. One of many anjeer benefits is that it helps cure iron-deficiency anemia. It provides you 2% of your daily iron requirement and makes it easier for your body to transfer hemoglobin to different parts of your body. It means that eating anjeer will increase iron in your body, which in turn will increase hemoglobin levels to cure anemia. Anjeer has been used as a natural aphrodisiac for centuries, and is closely associated with love and fertility. Its regular use will help improve libido and fertility, which is mainly due to the presence of manganese, zinc, and magnesium. Simply soak anjeer in milk overnight and have it in the morning to boost your reproductive health. Although there are a number of impressive anjeer benefits,you need to ensure that you're not going overboard with the idea of eating this wonderful fruit. Eating too much of it may cause diarrhea. Moreover, it contains sugar that may cause tooth decay. You may also want to avoid eating figs if you're allergic to any of the chemical components in them. Avoid eating too many figs before going for a surgery because it may cause digestive tract bleeding.